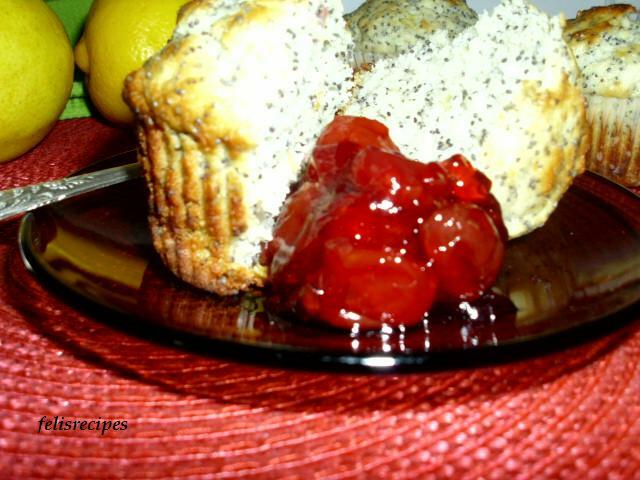 Last week I have made this amazing lemony and delicious muffins. 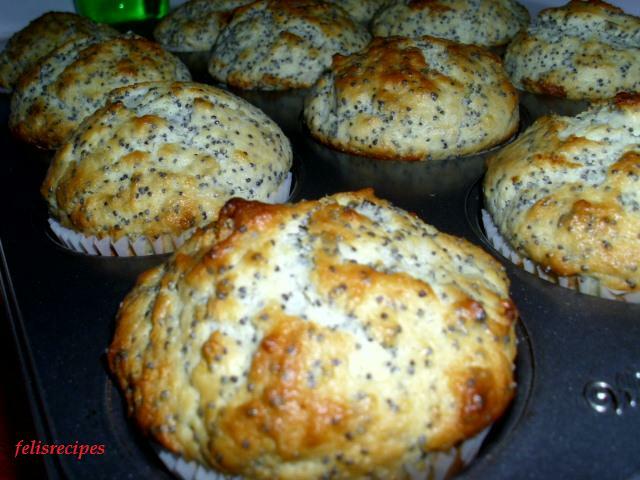 Friday morning, before work, I decided to make some muffins but I had no time to go to the grocery store so I opened the counter, looking to see what ingredients I have,when I saw the poppy seeds. Preheat the oven to 400F. 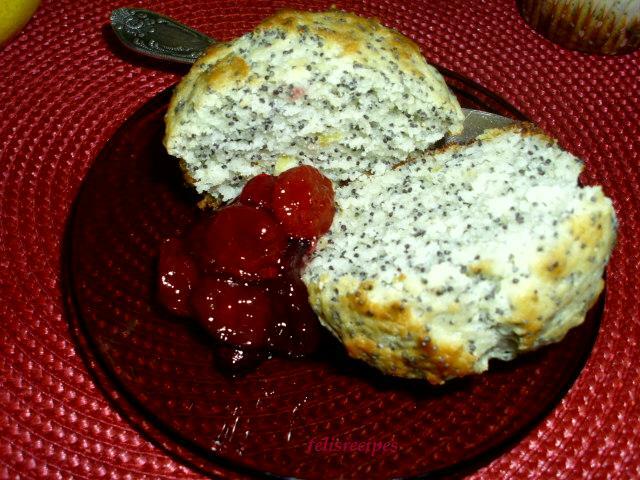 Lightly oil a 12-cup muffin tin or line it with paper cups. 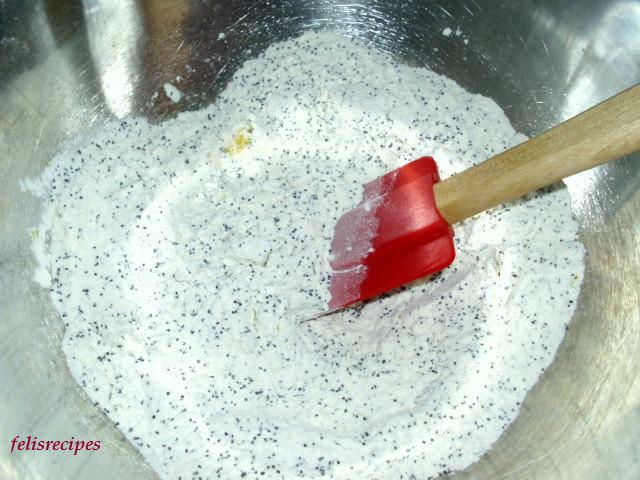 In a medium bowl, stir flour with poppy seeds, baking powder, baking soda and salt. 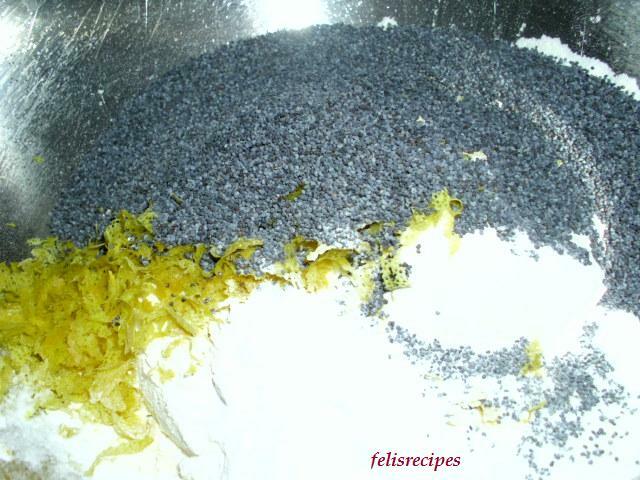 Grate peel from lemons into flour mixture and stir until well mix. Squeeze the 2 lemons into a small bowl and set aside. In a large bowl, whisk together sugar with eggs until well mixed. Add the oil and mix until creamy. 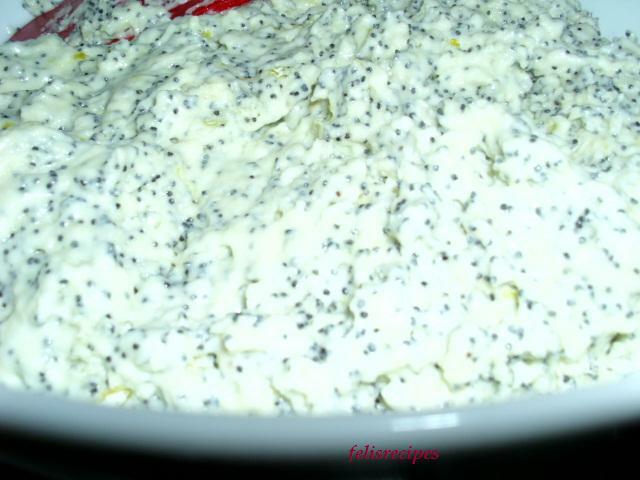 Then stir in sour cream, lemon juice and lemon extract until well mixed. Stir in flour mixture just until mixed. 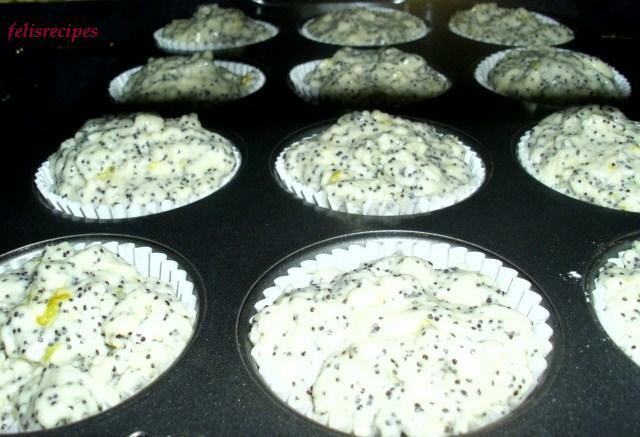 Divide the batter between muffin cups.